I’m giving away a FREE digital copy of my upcoming novel No Exit. The giveaway will run until the end of the month. https://christinakrieger.com/wp-content/uploads/2015/03/Giveaway.jpg 600 2009 christinakrieger https://christinakrieger.com/wp-content/uploads/2015/02/ck_logo_transparent1.png christinakrieger2015-03-12 15:50:102018-04-24 12:11:59No Exit eBook Giveaway! I hadn’t meant to come back… or forward, I should say… but time, like so many things, is beyond our control. In a flash I was taken from the present and dropped into a house identical to ours, but a century old, broken and condemned. A time warp, a worm hole, maybe — but my wife is long gone, my children probably thought I abandoned them, and my grandchildren — they never knew my face. I lost a lifetime, and now I’m facing a lifetime without them. But… and this is the key… if time travel brought me here, who’s to say it can’t take me back? New Website, New Book, and Free Download! I know it’s been a while since you’ve heard from me. I took a little hiatus from blogging. But I’m back now, and I’ve definitely been busy during this time away. My first novel, No Exit, is about to be published on March 17th! With my new site, you’ll still see my blog posts in your reader, but I now have a newsletter, if you’d like to join. And as a bonus for signing up for the newsletter, you’ll receive a FREE download of a short story prequel to No Exit. https://christinakrieger.com/wp-content/uploads/2015/01/No-Exit-Front-Cover1-e1421349196809.png 379 792 christinakrieger https://christinakrieger.com/wp-content/uploads/2015/02/ck_logo_transparent1.png christinakrieger2015-01-15 12:15:592015-01-15 14:53:34New Website, New Book, and Free Download! Last week I helped announce the release of Becca J Campbell’s newest novel, Gateway to Reality. If you missed her guest post, check it out here. I loved Gateway to Reality. If you’ve read the Circle books by Ted Dekker, they are similar in that when a character is asleep in our world, he awakes in the other. But beyond that, this is a new and original story that will take you to another world, root you there with lovable characters, and drive you forward with an intriguing and mysterious storyline. Fans of Becca J Campbell’s other works such as Foreign Identity and the Sub-Normal Series will love her latest. Not only does she demonstrate once again that she is a master of science fiction, but she eloquently weaves a love story into the mix and wraps it together with a message of staying true to what is real and not being bound to a fantasy. 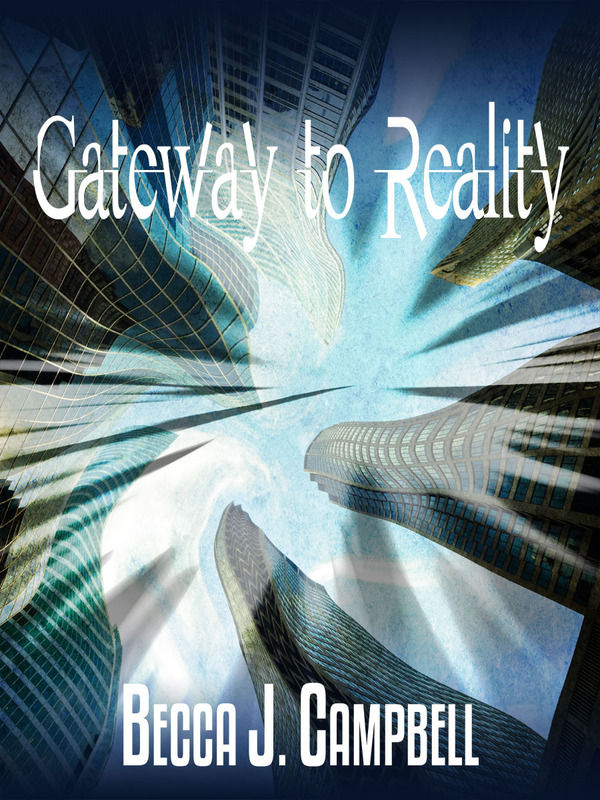 I would definitely recommend Gateway to Reality and I give it 5 out of 5 stars. You can enter the giveaway now, but to really amp up your odds at snatching one of these prize packs, check out each site along the blog tour. 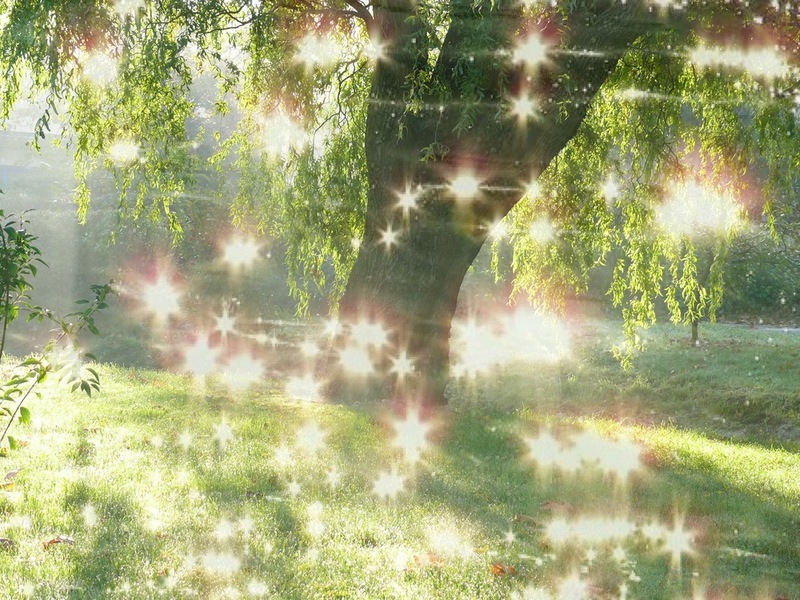 Collect the names of the fifteen worlds in Gateway to Reality (one will be revealed each day). Following the schedule above, collect a world name at each stop, and when you have them all, plug that list of 15 worlds into the giveaway below to win a BONUS TEN ENTRIES. Continue with your hunt tomorrow at S.M. Boyce. 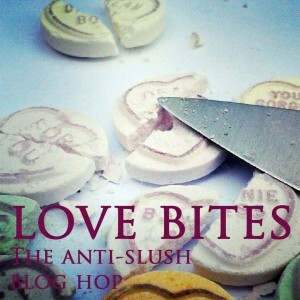 So here is my entry for the Love Bites Blog Hop. It’s not really funny like some of the other entries, but I set out to write an anti-valentine’s day story and this is what came out. It’s a continuation of a story I started about a pyro named Violet Blair. You can read the rest of her story here. “So…” Violet said as she twirled her fork around her plate. “So,” Ryan said in return, obviously unable to meet her eyes either. Violet looked around the overflowing restaurant. Waiters bustled around while couples stared lovingly into each other’s eyes. Utterly predictable on this, of all nights. But why, after surviving what could have wiped out the entire race of pyros, could they not sit and have an un-awkard meal together? This isn’t us, she thought. What made them think they could go on a date like normal people? She cared for him too much to doom their relationship to this. “This night could use a little livening up, don’t you think?” She said with a grin as she snapped, igniting a purple flame from her fingertips. Ryan smiled back, green fire rising from his palm. “Now, isn’t this lovely,” A voice said from behind Violet. They both looked to see a man with a hat dipped over his eyes. The Hunter. “Pity. For you.” He walked away, leaving a trail of metal balls behind him. “Bombs,” Ryan whispered to Violet. “There’s a bomb; everyone out!” Violet said loudly so the whole restaurant could hear. As the place erupted in screams and couples running for the doors, Ryan and Violet chased after The Hunter. Once outside, the restaurant exploded at their backs as they hurled green and indigo fireballs at their nemesis.